It occurred to me one day that countries always seem to be divided between north and south in a more dramatic way than between east and west. I guess on reflection this is probably more of happenstance than truism, but nonetheless it got me thinking. I’ve lived all over the UK, and the concepts of a “northerner” and “southerner” have particular resonance here. I would define myself as a northerner, even though I was born in the south, went to university in the south, lived many years in the south and married a southerner. These things are always peculiar. 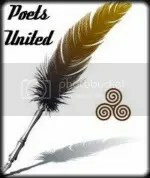 This series of poems looks at how such identities are formed, how they develop over hundreds if not thousands of years, and how they are maintained. Whilst the majority are UK based, I have also begun investigating other features of North/South – both metaphysical and political. There’s a whole world of poles out there.